An office in this Sycamore, IL, building is where American claims it purchases millions of gallons of jet fuel. Somewhere in Sycamore, IL, about an hour west of Chicago, both United and American Airlines have offices for subsidiary businesses. But some say these offices are nothing more than tax-dodges that help the carriers avoid millions of dollars in taxes each year. The Regional Transportation Authority, which oversees the Chicago Transit Authority, the Metra regional rail system and Pace bus service in the area, says the two airlines have made deals with the DeKalb County, IL, town to set up these businesses that supposedly purchase jet fuel for their respective parent companies. The RTA has filed a lawsuit against United in Cook County Circuit Court but is holding back on American, as that airline attempts to climb out of bankruptcy. The agency says that in 2001, United began claiming it was purchasing and accepting untold amounts of jet fuel from its Sycamore office, which is located in a strip mall. 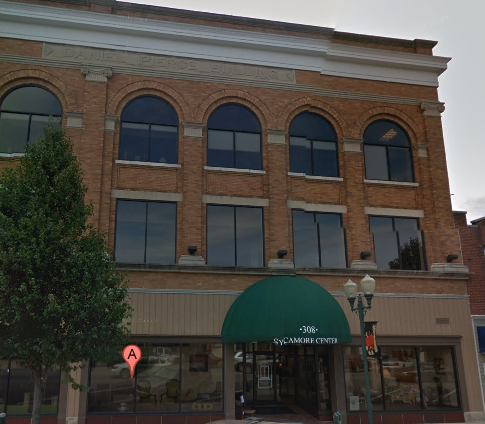 In 2004, American began a similar operation out of a windowless office in the Sycamore town hall. According to the RTA allegations, the two airlines pay a combined $500,000 each year to Sycamore for the right to do business in the town. What’s important here is that Illinois state law collects sales tax on where a purchase is accepted, as opposed to where it’s actually received. Thus, though this fuel is mostly going to jets at Chicago airports, the airlines only pay the significantly lower Sycamore tax. But as the difference in sales tax isn’t that much between Chicago and Sycamore (9.5% vs. 8%, respectively), the RTA contends that the town is kicking back millions of tax dollars to the two carriers. The agency alleges that upwards of $14 million a year is returned to United and American by Sycamore. The agency says that it tried to visit the United office in Sycamore, which apparently only has one employee and no computers, but found it closed during regular business hours. “Whoever is out there is not negotiating hundreds of millions of dollars worth of jet fuel,” said the RTA’s chief of staff. The reason the RTA is so miffed about the alleged tax-dodge is that it depends on these taxes to keep mass transit running in the Chicago area. If the airlines are indeed doing all of the fuel purchasing out of Chicago, as the agency contends, they have been skipping out on an estimated $100 million in taxes in just the last seven years.